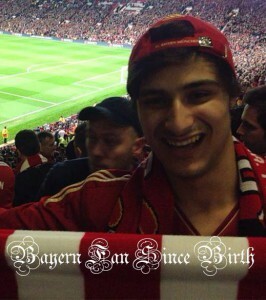 I guess I supported Bayern since birth as did my father and grandfather and forefathers. Its a passed on love for Bayern Munich. I tagged along a trip to Manchester with the Red Dragons last year and I really felt the camaraderie – being part of something bigger. Red Dragons has a family feel – and each member loves the same thing, Bayern.